The chalcogens are the chemical elements in group 16 o the periodic cairt. This group is an aa kent as the oxygen faimily. 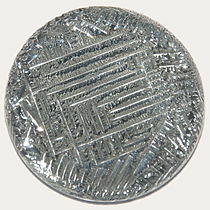 It conseests o the elements oxygen (O), sulfur (S), selenium (Se), tellurium (Te), an the radioactive element polonium (Po). 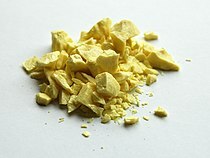 The chemically unchairacterised synthetic element livermorium (Lv) is predictit tae be a chalcogen as well. 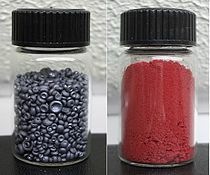 Eften, oxygen is treatit separately frae the other chalcogens, whiles even excludit from the scope o the term "chalcogen" awthegither, due tae its very different chemical behaviour frae sulfur, selenium, tellurium, an polonium. This page wis last eeditit on 20 August 2016, at 03:21.